My Birthday List | Vanity and Everything in Between. On one of my random talks with my mom, she asked me what I want for my birthday - not that she'd get me what I want. Hehe. It has always been one of the questions that was so easy to answer. But the last time that she asked me, I actually had to think for a while and just told her that I'll get back to her. I don't know what I want - for my birthday, that is. Of course, I'm talking about gifts that are realistic. I could always tell my mom that I want an all expense paid trip to Brasil. But that isn't realistic as we speak. It bothered me not being able to answer - good and bad. Good because it seems that I am contented with what I have now; Bad because hello, I'm human. You will always want something no matter what. So, I decided to write down the things that I think I want for my birthday. And it didn't happen in one sitting. Jotting down the list happened randomly - during lunch, during a meeting, and just right after waking up to my alarm in the morning. Let's start the list, shall we? 1. 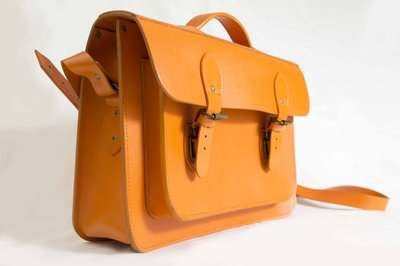 A new satchel/batchel. Just because I can never have one too many. I know satchels are no longer a fad now, at least not as much in 2011. But boy, oh boy, I still find myself gushing about satchels. Really. Of course, I prefer the sturdy ones from the fancy ones - except if it's a gold satchel. That's another story. Seriously, how can you not like this baby? 2. A new makeup brush set. My almost 4 year old Charm Travel brush set is slowly giving up on me. Not only did I lose some of the brushes, the remaining brushes are, one by one, falling from its ferrules. I tried to put them back together using Mighty Bond and it sticks for a couple of days or until I drop it again. 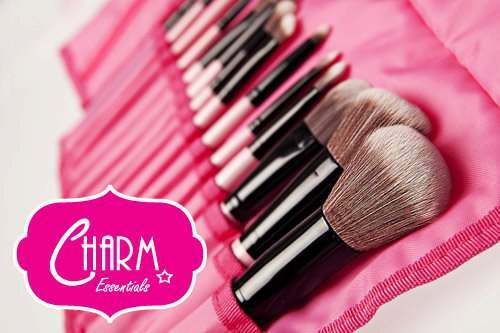 And yes, I have my MAC and Charm Pro brushes. But I don't want to use them on a daily basis because they serve another purpose. I alternate, yes. But I still can't afford to use them on a daily basis. I want to prolong their life span. Seryoso nga. 14pc vegan brush set, I need you in my life. 3. A new man watch. Yes, a man watch. If you know me, you know how much I love men's watches. I think I only have one woman's watch left. The rest are oversized and for men, talga. I know this is pure luho but I really, really want a new watch. And how I wish that the watches that I want are cheap. Pero hindi eh, they are always more than I can afford. Say, my salary is X and the watch that I want is Zed. Ganun kamahal. This is why I said this is really luho talga! I remember back in 2010 that I almost bought this watch in Chopard. Good thing my bestfriend hit me in the head literally to see things in a bigger picture! 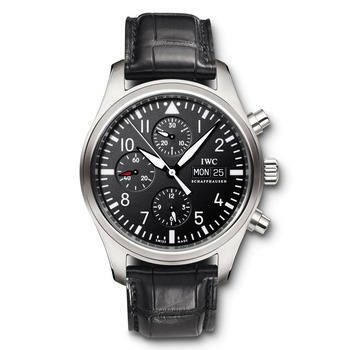 Oh, IWC Pilot, why do you have to be so damn guapo? 3 materials things that I can not afford at the moment. Le sigh. Aside from those 3 items, I'm praying for greater things this year! This might be the last year that I'll be single so better make the most out of it! I'm targeting to have a new investment this year. I also wish that I'll be able to travel more this year (although this seems like a big shot this year because I'm not entitled to any leaves yet). I want better health for me and more quality time with the fiancé. Lastly, I want peace of mind. Everything happens so fast now that sometimes I can't keep up or that my mind can't absorb it.